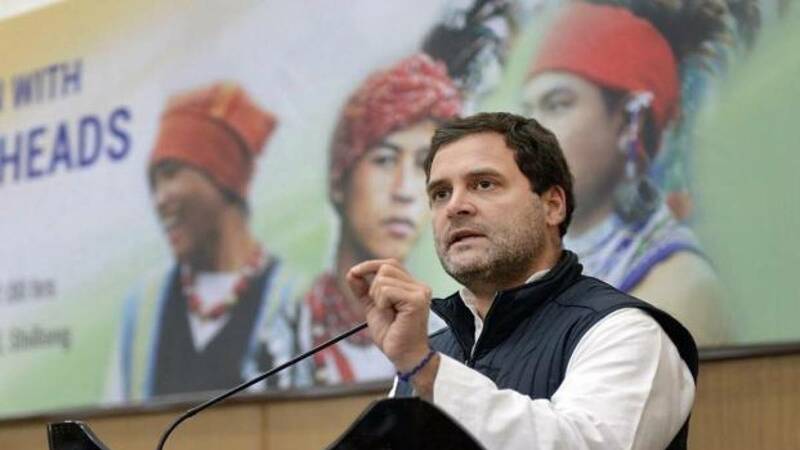 Devadurga (Karnataka) : Highlighting the achievements of the ruling Congress government in poll-bound Karnataka, party President Rahul Gandhi on Monday asked Prime Minister Narendra Modi to learn from state Chief Minister Siddaramaiah how to govern the country. "Modi should learn from Siddaramaiah how to run a government. Our government in the state has a clean image in contrast to that of the BJP, which broke all corruption records when it was in power from 2008 to 2013," said Gandhi at a public meeting here in the state's Raichur district. Lauding the Siddaramaiah-led government for its social welfare policies and commitment to serve all sections of society, Gandhi told the huge gathering in the state's northern region that Karnataka's riches belonged to its women, youth, farmers and labourers and not to the affluent few. Gandhi is on a maiden four-day visit to the southern state after becoming the party president in December and touring in its northern region since Saturday on a "Jan Ashirwad Yatra" for the people's blessings ahead of the assembly poll in the state, due in late April or early May. Interacting with farmers at Sindhanur in the backward district later, Gandhi told them that farmers across the country were suffering due to the failure of the Modi government in the growth of the farm sector. "The reality is without the government support, farmers cannot benefit from agriculture. Modi has failed to provide that support. When we come back to power, we will provide the right MSP (Minimum Support Price) and waive farm loans," Gandhi assured the public for whom his address in Hindi was translated into Kannada. Asserting that farmers got better remuneration during the UPA government tenure (2004-2014), the party president said note ban and a flawed GST had affected farmers more than big industrialists. "The Manmohan Singh-led UPA government had waived loans of farmers nationwide. The Congress has always been with the farmers, who benefitted with better prices. The state government is also doing good for the benefit of all, including the farmers," recalled Gandhi. Reminding Modi that his five-year tenure was nearing an end, Rahul said the Prime Minister has to tell the people on what he achieved and if he had fulfilled the promises he made in 2014. The BJP-led NDA government has not fulfilled any promise it made. It failed to create jobs, bring back black money and brought down the country's economy.